Click here for a map of the Highland Park Neighborhood. Settled in 1778, the Highland Park neighborhood of Pittsburgh is a Residential Historic District on the National Register of Historic Places. Highland Park (the public park) overlooks the Allegheny river and consists of 500 acres. 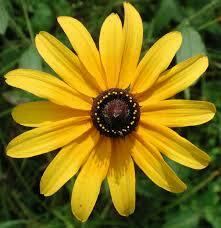 It is one of Pittsburgh’s three grand public parks and is situated along the northern edge of the neighborhood. The neighborhood is also home to the Pittsburgh Zoo & Aquarium, Union Project, the Nuin Center, St Andrew’s Church and several locally owned restaurants and businesses. The first permanent European settler in Highland Park was Alexander Negley, a German-American who in 1778 purchased a 278-acre farm along the Allegheny River that he called “Fertile Bottom” and which extended over much of what is now Highland Park north of Bryant Street. His son Jacob married Barbara Winebiddle, the daughter of other local landowners, in 1795, and purchased the 443-acre farm (called “Heth’s Delight”) that adjoined his father’s farm to the south and west in 1799. They built a brick house at what is now the corner of Stanton and Negley Avenues in 1808, which became the seat of a substantial land holding when the two farms were combined upon the death of Alexander Negley in 1809. Jacob Negley was one of the most prominent citizens in the early nineteenth century of the East Liberty Valley, the ancient river bottom that lies north of Squirrel Hill in the eastern section of Pittsburgh and provides relief from the generally hilly topography of the city. The earliest highway from the east, the Greensburg & Pittsburgh Turnpike (now Penn Avenue), which followed the line (the Forbes Road) that the British cut during the French and Indian War, ran east-west through the East Liberty Valley. Jacob Negley won the contract to pave a five-mile section of the turnpike between 1813 and 1819. He played a substantial role in the founding of a village in East Liberty, building a steam-powered grist mill on the turnpike in 1816, establishing a bank, and helping to found the East Liberty Presbyterian Church in 1819. His daughter Sara Jane married the lawyer Thomas Mellon, patriarch of the banking family, in 1843. Upon the death of Jacob Negley in 1827, his widow was forced to sell some of his property to pay debts that he incurred during the Panic of 1819. Once the debts were resolved, in 1837, Barbara Winebiddle Negley divided the remainder of the estate among her children. This started the process of subdivision of land in East Liberty and Highland Park that led to the development of those neighborhoods in the later nineteenth century. With the subdivision of the estate, the County Surveyor, Robert Hilands, also laid out the first streets in the Highland Park area. He formally established Negley Avenue along the line of the country lane that connected Penn Avenue with the Negley homestead, laid out Hiland Avenue (named after himself until changed to “Highland” by the City in 1890) as the principal street running north out of the center of the village of East Liberty, and converted the Negleys’ principal east-west “Country Lane” into what is now called Stanton Avenue. In the first half of the nineteenth century, most of the development in the East End of Pittsburgh occurred in the East Liberty section. This growth was spurred on by the construction of the Pennsylvania Railroad’s main line to Pittsburgh through the East Liberty Valley in 1852. By 1868, there was a population of about 5000 in the general vicinity of East Liberty. In that year, the townships east of Pittsburgh (including Pitt Township, which included most of the East End) were annexed by the City of Pittsburgh as part of a campaign of expansion that tripled the size of the city and extended its boundaries south of the Monongahela River. Further transportation improvements followed the incorporation of East Liberty into the city. In 1870, the City Councils passed the Penn Avenue Act, which provided a mechanism for the paving of local streets, and in 1872 horse-drawn streetcar service was extended out of Pittsburgh to East Liberty. In addition, the city Water Commission purchased land and began construction in 1872 of a reservoir on the top of the hill at the head of Hiland Avenue that opened in 1879. The land purchases for the reservoir later provided the germ of the Highland Park landscape park that was founded in 1889. 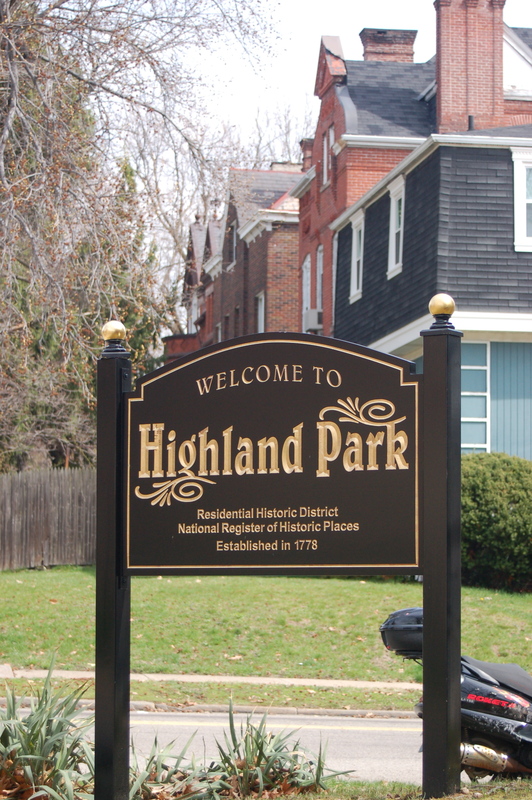 Highland Park was listed as a Residential Historic District on August 30, 2007. Highland Park was deemed significant and added to the registry because of the presence of a variety of nineteenth- and twentieth-century styles of architecture that reflect the development, growth, and maturity of the neighborhood. The period of significance of the district is 1860 until circa 1940. The oldest extant building in the district, the Tim House at 1317 Sheridan Avenue, was built circa 1860, marking the beginning of development in the neighborhood. By 1940, when construction ceased due to the onset of the Second World War, most of the Highland Park Residential Historic District had been built up. Since that time, there has been construction scattered throughout the district that does not reflect the same cohesiveness in architectural style and character shown in the buildings that were built before 1940. A historic district in the United States is a group of buildings, properties or sites that have been designated by the U.S. federal government as historically or architecturally significant. Districts greatly vary in size: some have hundreds of structures, while others have just a few. The National Register is the official federal list of districts, sites, buildings, and structures significant in American history, architecture, archaeology, engineering, and culture. Mike Eversmeyer’s, a Highland Park resident and HPCC member, headed up the application process and submitted the final nomination documents.